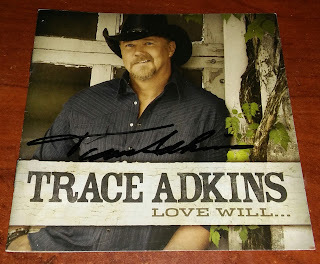 Autographed Trace Adkins Love Will Liner Booklet Giveaway! CMAFestMeetandGreets.com is giving away an autographed Trace Adkins Love Will... CD Liner Booklet! This giveaway is for the booklet only. CD not included. One winner will be selected at random from all entries on Friday, May 26, 2017 at 5 PM ET.